Local business leader and philanthropist Avinash Rachmale, M.S. ’89, and his wife, Hema Rachmale, Cert. ’92, have donated a total of $5 million to the Wayne State University College of Engineering under the auspices of The N. Rachmale Foundation: $1 million to create an endowed scholarship fund, and $4 million to build a structures and materials engineering testing laboratory in Highland Park, Michigan. The Rachmale Detroit Engineering Scholars Program annually incentivizes five high-performing students from Detroit Public Schools Community District to attend Wayne State’s College of Engineering and assists them in the transition from high school achievement to career success. The 8,000-square-foot N. Rachmale Foundation Structures and Materials Laboratory is expected to be completed in 2020. 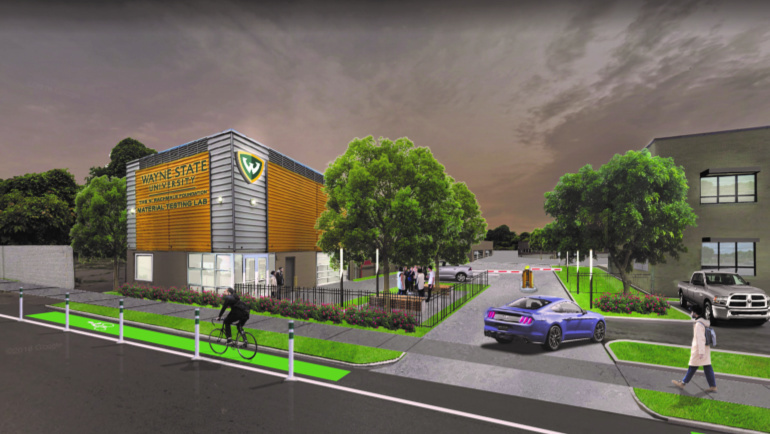 The facility will provide Wayne State civil engineering students and faculty members with unprecedented opportunities to engage in large-scale, real-world structures and materials testing projects. This alumni gift provides a fitting bookend to Wayne State University’s historic Pivotal Moments campaign, which celebrates its closing along with the university’s sesquicentennial on October 26. The campaign has raised a total of $776.5 million, making it the most successful in Wayne State’s 150-year history. The N. Rachmale Foundation Structures and Materials Laboratory will provide civil engineering students and faculty with opportunities to engage in large-scale, real-world structures and materials testing projects. Structures and materials testing is essential to verify and understand the behavior of key infrastructure components such as bridges, roads and buildings. Because Wayne State’s on-campus civil engineering testing facilities have restricted access to the large trucks needed to transport products like steel and concrete bridge girders, bridge decks, pipes, and steel and fiber-reinforced polymer rebar, the College of Engineering has been unable to pursue projects involving key civil structural components. The N. Rachmale Foundation Structures and Materials Laboratory will feature a strong floor, strong wall, office spaces, restrooms, safety shower, spaces for testing machines, storage, hydraulic power units, and an environmental chamber. Avinash received a bachelor’s in civil engineering from the Government College of Engineering in Aurangabad, India, in 1985 before moving to the United States and earning his master’s in civil engineering at Wayne State. In 1994, he founded Lakeshore Engineering Services in Detroit, which assessed, cleaned and replaced fuel storage tanks at 200 service stations with only one employee — Avinash — on staff. Lakeshore Engineering became one of the country’s leading civil engineering and public works contractors, and in 2010 it acquired TolTest, another leader in worldwide construction management services. The new entity was renamed Lakeshore TolTest, and Avinash served as its CEO. Since 2015, Avinash has served as CEO and chair of LGC Global, an engineering firm headquartered on Woodward Avenue in Detroit’s New Center area. LGC Global has over 500 employees in more than 40 offices worldwide. The company’s projects include the renovation of several Detroit Public Schools Community District buildings, national and international infrastructure, and residential and commercial development. 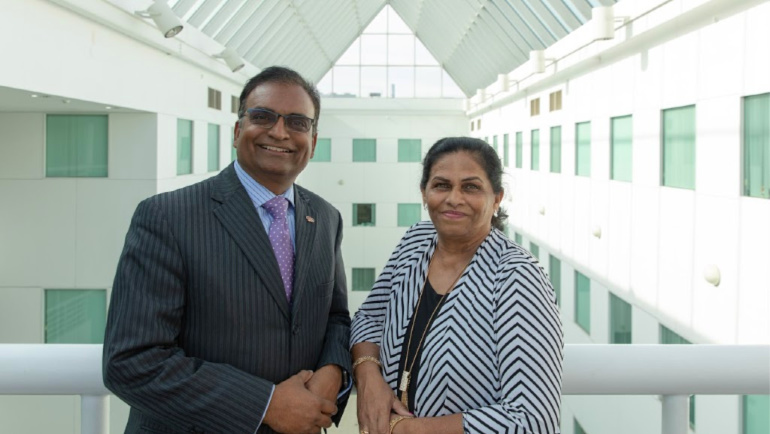 Avinash received the U.S. Small Business Administration’s Champion Award for Entrepreneurial Success in 2009 in recognition of Lakeshore Engineering’s innovation and community investment during the country’s economic recovery. In addition to being a longtime supporter of Wayne State, Avinash is an active contributor to Detroit-based nonprofits that assist children in underserved populations.